The Fujita Scale is based on structural strength and engineering research done by Ted Fujita and a host of others. This research created the Fujita scale as a measurement of a tornadoes strength or intensity. Simply put, how intense would a wind have to be to move a cardboard box or to move bricks? One questions to ask would be: How fast or intense would the winds have to be to knock over a brick wall,? Obviously those winds would be significant. Through extensive research the Fujita Scale was developed based on damage, not wind speeds. Based on the extent of this damage conclusions are drawn as to what the winds would likely have to be to cause that type of damage. Since two wooden structured homes can be vastly different in quality and strength, there can be some misleading conclusions from the damage. 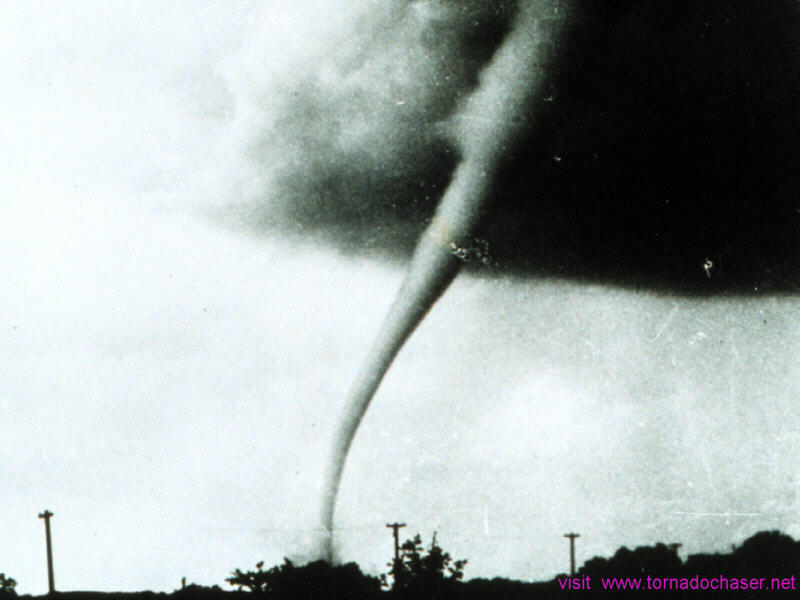 Because of this and other overly general conclusions, storm researchers came up with the Enhanced Fujita scale to better reflect a tornado’s strength. As a storm chaser I have seen EF5 damage that is difficult to comprehend. Click on the (Details Linked) number to see more details. Enhanced Fujita Scale article has been completed by the Wind Science and Engineering Center at Texas Tech University. Thanks to http://www.spc.noaa.gov and http://www.wind.ttu.edu for the new information. Some damage to chimneys; break branches off trees, pushes over shallow- rooted trees-, damages sign boards. The lower limit is the beginning of hurricane wind speed- peels surface off roofs; mobile homes destroyed. Considerable damage. 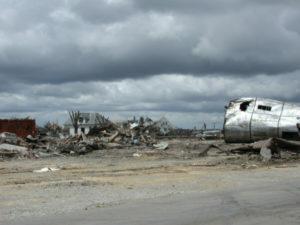 Roofs torn off frame houses- mobile homes demolished; boxcars pushed over; larger trees snapped or uprooted-, light object missiles generated. some distance; cars thrown and large missiles generated. Strong frame houses lifted off foundations and carried considerable distances to disintegrate- automobile sized missiles fly in excess of 100 meters; trees debarked; steel reinforced concrete structures badly damaged. FICTION: Highway overpasses provide safe shelter from tornadoes. FACT: The area under a highway overpass is very dangerous in a tornado. If you are in a vehicle, you should immediately seek shelter in a sturdy building. As a last resort, you can either: stay in the car with the seat belt on. Put your head down below the windows, covering with your hands and a blanket if possible, OR if you can safely get noticeably lower than the level of the roadway, exit your car and lie in that area, covering your head with your hands. Your choice should be driven by your specific circumstances. Read Tornado Tim’s exciting new book on storm chasing. Feel like you are a storm chaser as you read this book.